Now that R&B band the Internet has both underground cred and a Grammy nomination, each respective member has earned the right to spread their solo wings. 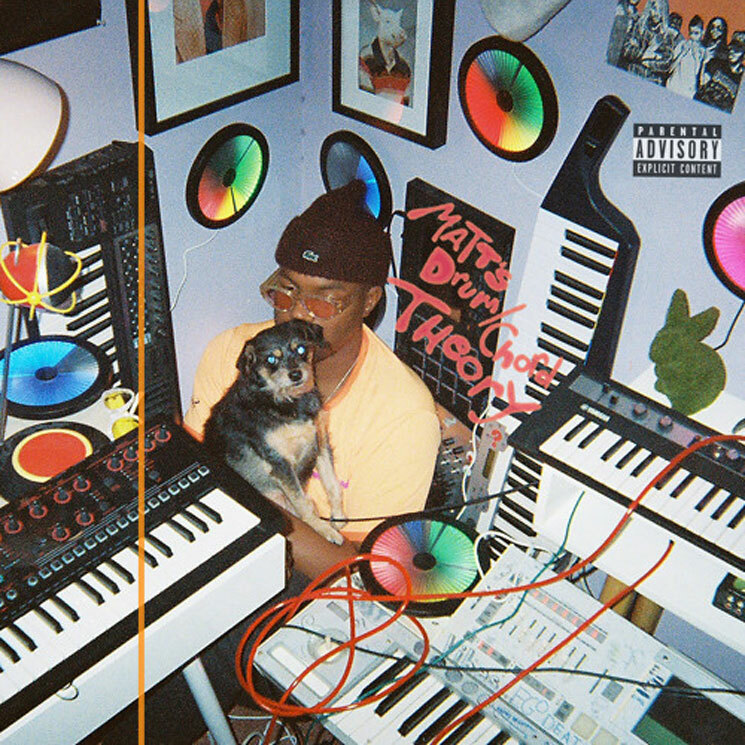 Much like fellow Internet founder Syd, co-founder/resident beatmaker Matt Martians has now made that leap — but doesn't soar quite as high as one might hope — with The Drum Chord Theory. Funky but unfocused would be the best way to describe this collection of 11 tracks that explore elements of R&B, acid jazz, funk and hip-hop. "Acid" is perhaps an operative word here: Martians readily admits dalliances with the drug on his mind-expanding mission. That's all good, but what's presented here are passable but not lasting sounds. His musical ideas are intriguing and fearless, mashing together different psychedelic grooves just to see what comes out of it. The results are unbalanced, though. The off-kilter groove of "Baby Girl" overshoots the mark, while the neo-soul of "Down" feels deliberately off-key. Better are the spacy groove of "Spend the Night/If You Were My GF," the Thundercat-y riff of "Diamond in the Ruff," and the instrumental funk jam "Southern Isolation."